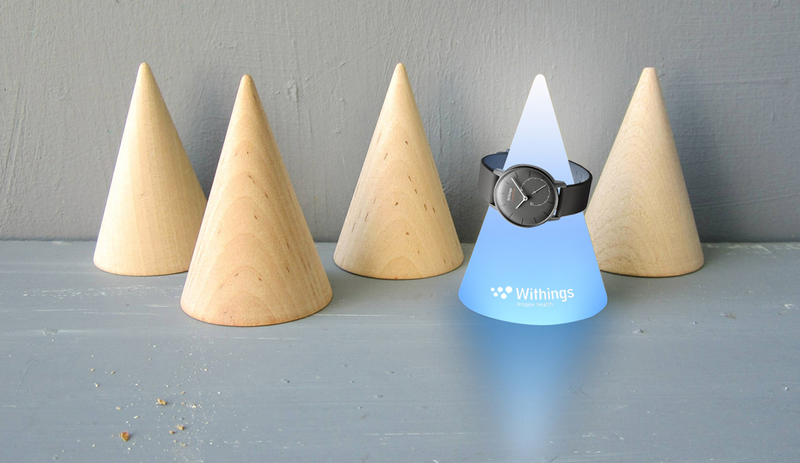 Withings is a French consumer electronics company headquartered in Issy-les-Moulineaux, France, with offices in Cambridge, Massachusetts, San Francisco and Hong Kong. 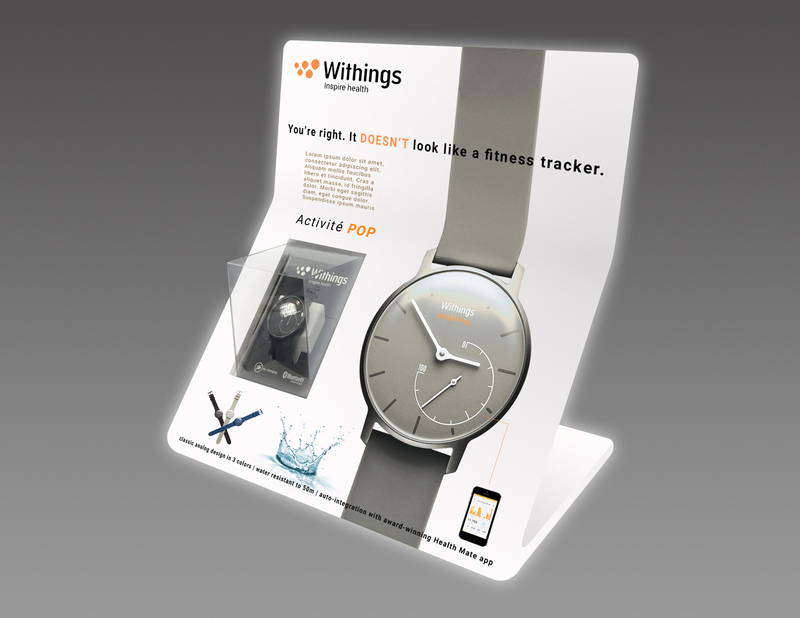 Distributing their products worldwide, they are best known for design and innovation in connected health devices, including the first wi-fi scale on the market (introduced in 2009), an FDA-approved blood pressure monitor, a high-definition wireless security camera, a smart sleep system, and a line of automatic activity tracking watches. 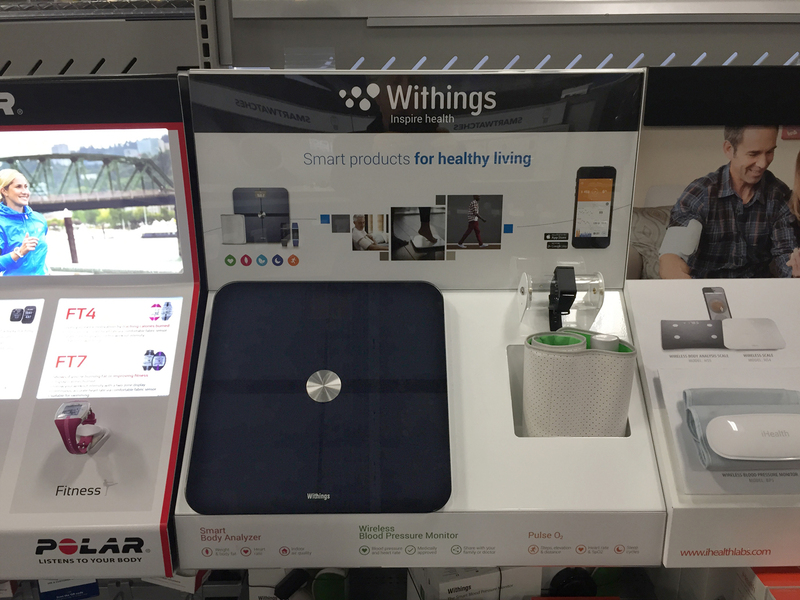 Although Withings is a flagship company of the French tech community and has received numerous awards for its products and innovations, they are still relatively unknown to mainstream America and lag behind more established competitors such as Fitbit and Garmin. We were brought in to develop new display concepts that would 1) do a better job of explaining their products, and 2) position the brand as a world-class player to be reckoned with.